The first intensive, in which we address the seatwork, requires a minimum of five days. Local riders may break this into two weekends rather than blocking off a full week. The intensive may last longer, but to address the seat five days is minimum. The longer you can stay and the more time you spend soaking in the ideas, trying them independently, and watching others practice, the more effective the learning will be. For a student with strong resources who wants to go home with as much useful information and practice as possible, we recommend a minimum two week stay. The first 6 days you’ll do a mounted lesson twice a day, and an In-Hand or theory lesson for the third session. The second 6 days you’ll design with us to fit your interests with the teacher and learning style that most works for you. The Intensive is a personal riding retreat. If you are in the area and want to come spend a day immersed in this work, once your seatwork is established with that first intensive you can come back for more and have more latitude to design your time here. Anything from another long stay to a single day “drop by” visit will move your riding further along, and we’d love to have you back. Please do not let lesson costs be the reason you do not come. Work study opportunities and limited Foundation for the Equestrian Arts Scholarships are often available, as well as professional discounts for teachers and trainers. Craig and Mary Anne both got much of their education in a work study format, and we are committed to return the favor. Click here to email your questions to the office to craft the best plan for your budget. How do I pay for the intensive? Each lesson is $100, so plan on $200-$300 per day. This includes the full day’s observation and “ad hoc” instruction throughout your stay. A deposit of $300 to cover the first set of rides holds your place. Deposits are non-refundable, and once a date is set, they are not transferable. Fill in the form and return it to us via email or “regular” mail. Your registration is not confirmed, and your deposit will not be accepted, until you have received a confirmation from NSAE that your intensive is officially scheduled for specific dates. You can send in your deposit through paypal- they accept any major credit card, and you do not have to have an account with them. Your registration is not accepted and the money will not be transferred to our account until we agree upon dates, but you may use the fields below to request the dates that work best for you. We do not teach on Fridays. What else is happening at the barn? You’ll be taking your intensive while a regular lesson program goes on around you, with riders spanning all ages and skill levels. You may also meet some of our professional’s course students, who come from all over the world to work with us at the farm. Sometimes they’ll longe for Craig or Mary Anne during the intensive to listen and learn from the lessons given. 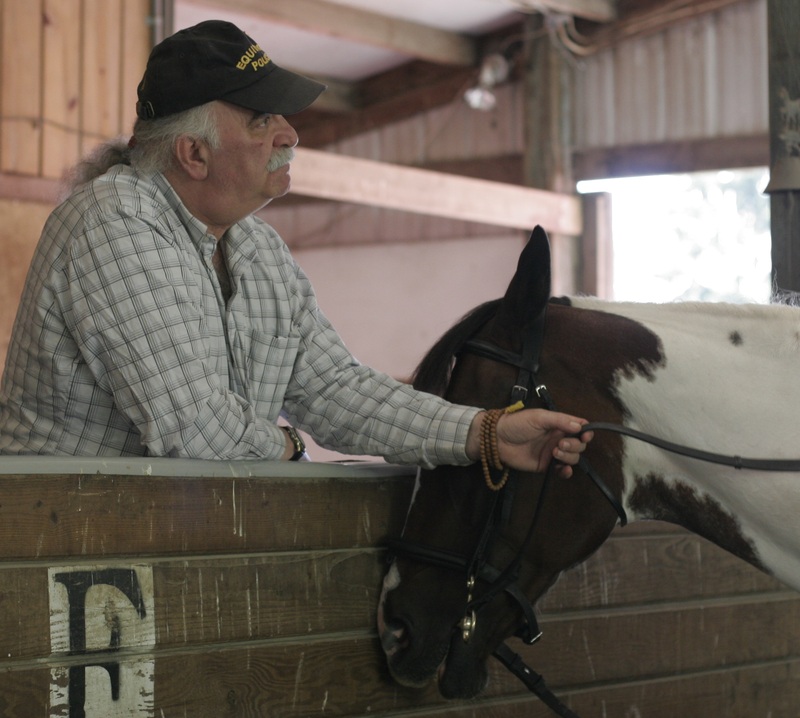 You’ll also be observing Craig, Mary Anne and the assistants working horses in training and giving lessons to other riders, and you are expected to stay and spend the day at the barn, ask questions and make sure you really understand each of the ideas that you’re encountering here. It’s up to you to get the most out of the time you spend with us, and we’re happy to help. How many sessions will I ride each day? The intensive is a personal riding retreat, and “how many sessions” is a personal question. Because this is a very information-dense teaching method people generally find their minds get more fatigued than their rumps. Some riders add a work in hand lesson with the alternate teacher during the first few days while the seatwork is more physical than cerebral, and will take three sessions daily- then once the riding sessions come off the longe line and into control those in hand sessions will have laid the ground work for the riding lessons that follow. If Craig or Mary Anne approves, you may plan on including a practice session after the 4th day. The retreat can be modified to add additional lessons or stretch the time it takes to do the prepaid sets of lessons over the course of the work, but please keep in mind when setting up your intensive that we do not offer refunds. It is easy to add sessions but we do not offer refunds if you decide to take fewer lessons than you’ve set up to start with. For riders who are heavy in stature, because we have a limited number of larger seatwork horses please let us know in advance. If you have physical difficulties—a fused backbone, a replaced hip— or perhaps you have had a bad fall and have some emotional concerns, again, let us know. You do not need to be perfect to ride, but it helps us if we know in advance if we will be helping you with specific concerns. What time will my lessons start? The time for your first session on the first day will be arranged with the office before you arrive. After the first lesson the ride times are planned together around other lessons, horses in training, and so forth. You’ll need to be at the barn about half an hour early to tack up your horse, staff members will assist you with this, and you’ll “buzz” Craig or Mary Anne in the house to let us know when you’re ready. Then you will wait with your horse in the cross-ties until your instructor indicates it’s time to bridle up. If you have a concern around times just say so and we’ll do our best to accommodate you. Craig is late for many of his lessons. He is a scholar and it is not uncommon that a passage in a book catches his eye on the way out, or he gets involved in translating “just one more sentence” and he winds up late to his lessons. Our horses are content to hang out, and our staff will be supportive while you wait. If you know that this consistent lateness will bother you, please talk to Mary Anne about it—Craig will not be on time, but we can get your sessions started on time with a different instructor and Craig will step in when he arrives if it is uncomfortable for you to wait. We break for lunch at about noon and the day ends when all the horses are ridden and all the lessons completed. You’re expected to stay through the day as long as you’d like, observing and learning and asking questions about all the other activity that goes on. There are no stupid questions except the ones you leave unasked. What sort of horse will I be riding? The school horses are a mixed group of various breeds, ages, sizes, backgrounds and lineages. They have consistently generous temperaments and high skill levels— once your balance and aids are correct, you can very quickly find yourself enjoying the piaffe, passage, and flying changes. Usually people start on one of two very good seatwork horses— gentle souls willing to go around mindlessly while the rider sorts out balance questions. But the seatwork horses are also great riding horses. The phrase “just a school horse” doesn’t apply to any of our equine master instructors here. The nearest airport is Seatac, south of Seattle. The school is located at: 11901 215th Place SE Snohomish, Washington 98296. We are located about thirty minutes northeast of Seattle, about 45 minutes from the airport traffic permitting. What are the local accommodations? Depending on which members of Craig’s and Mary Anne’s family are currently in residence, NSAE may have room to offer simple accommodations on a first come first served basis: if we do, what we have is a simple guest room with a small fridge and microwave, you’ll need to plan on providing your own meals. If you’re driving and it’s summer time, you may camp out in our fields. All year round you’re welcome to park a truck and trailer in our parking area. We ask campers $5 per day to cover wear and tear, electricity and utilities . For options in lodging, shopping, restaurants, airport shuttle service or other amenities, please check out accommodations page, here. If I elect to bring my horse, what’s boarding like? 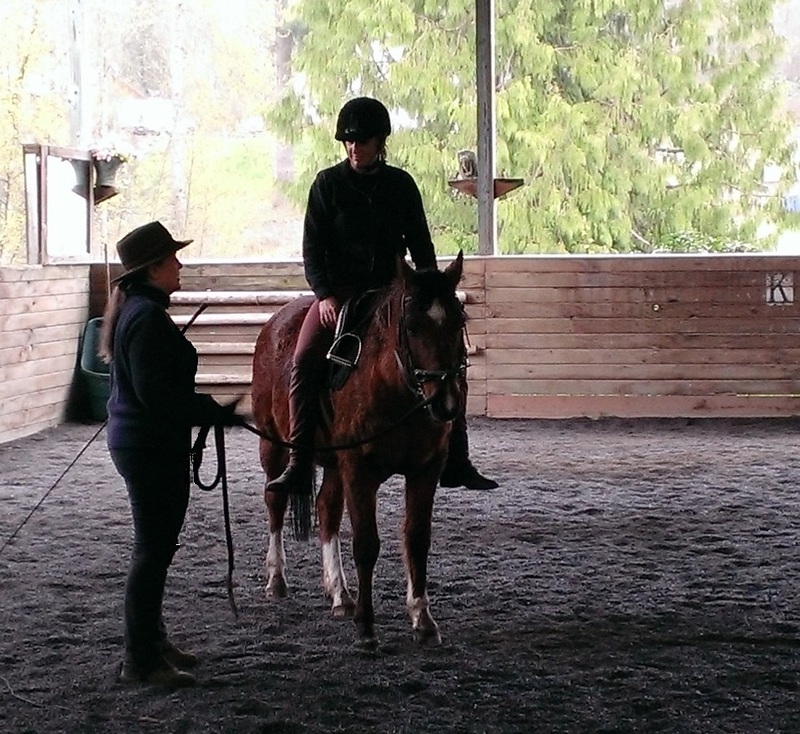 If you are coming for your first intensive, plan on riding a school horse for the seatwork portion of the work. You may bring your own horse for later lessons in the week, and for additional intensives. You’ll bring any grain and supplements you feed. We have timothy and alfalfa on hand, it’s best to bring a bale of what your horse is used to for the transition to what we’re feeding. We feed hay three times daily, grain twice. Your horse will have an inside box stall and several hours of paddock turnout daily—in dry months there’s good grass turnout available too. There is a $35 per day stabling fee. The balance of your riding fees will be due the first day of your intensive. If you add rides or elect to purchase DVDs, books or other services while here, you can pay for these as you go.